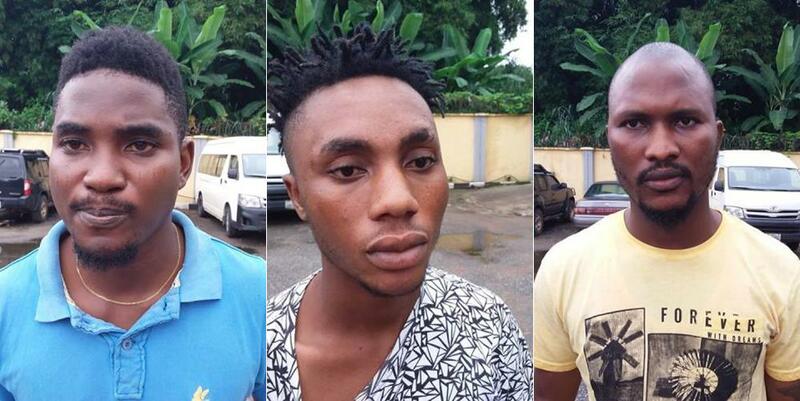 Four Internet fraudsters Shiko Romeo, Bobby Edigiu, Henry Nisike and Emmanuel Ayo were arrested recently by the Nigerian Police Force. According to reports by PoliticsNGR they’d be arraigned in court by the Benin Zonal office of the EFCC. Upon handing the suspects over to the EFCC Benin Zonal Office, operatives of the Commission embarked on painstaking investigations including forensic analysis of their laptops were incriminating documents were retrieved and printed. The suspects later confessed to their involvement in internet fraud using fake identification on Facebook in their attempts to hoodwink unsuspecting persons especially European and American women. For instance, Shiko Romeo, who claims to be a student of National Open University, NOUN, confessed that he scammed the duo of Kitty Zamaripas and Susan various sums of money with a promise of love relationship using the name John Culfer who lives in New Jersey, USA.